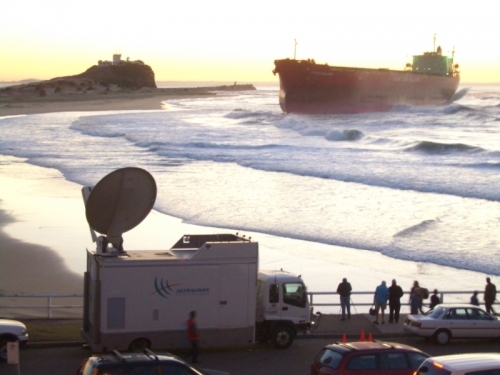 Astralinks covers the grounding of the coal carrier the Pasha Bulka off the coast of Newcastle NSW during bad winter storms. Astralinks owner Craig Beckett (craig@astralinks.com.au) covered the story for Network Seven. 13.11.2007 Astralinks covers the grounding of the coal carrier the Pasha Bulka off the coast of Newcastle NSW during bad winter storms. Astralinks owner Craig Beckett (craig@astralinks.com.au) covered the story for Network Seven.